Jeremy Johnson, raised in Aynor, SC. Graduated from Aynor High School in 1996 and from Gupton Jones College of Mortuary Science in 1998 with an Associate Degree of Mortuary Science. I have been a licensed funeral director and embalmer for the state of South Carolina for 18 years. I am married to Brook Cherry Johnson and we have two children, Mason and Maggie Johnson. 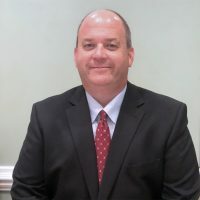 I am currently President of the Aynor Area Chamber of Commerce, President of the Aynor Middle School Foundation, member of the Lions Club, and currently attend Berea Baptist Church. I enjoy spending my time with my wife and children go kart racing, horse shows, and at the river. As owner of Johnson Funeral Home, I take pride in serving our families and the surrounding community in every aspect possible. Brad graduated from Conway High School in 1992. He graduated from Fayetteville Technical Community College in 1995 with an Associate Degree of Mortuary Science. 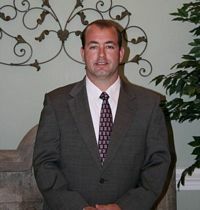 Brad has been a Licensed Funeral Director and Embalmer in the State of South Carolina for 23 Years, and has his South Carolina Insurance License. Brad is the proud father of Lance Daniel Stephens. Brad is a member of Maple Baptist Church, and loves to spend time in the outdoors hunting and fishing.